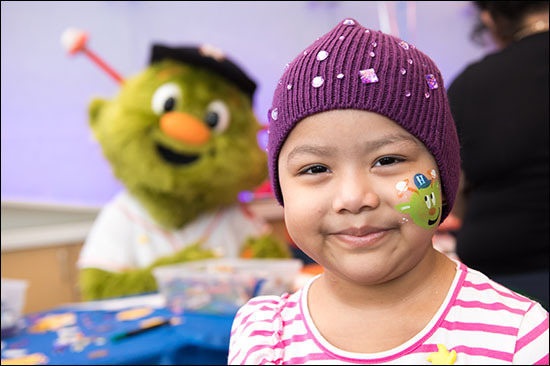 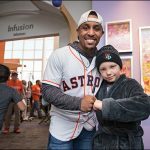 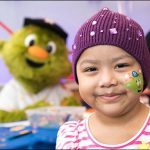 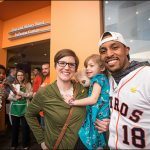 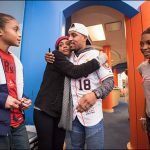 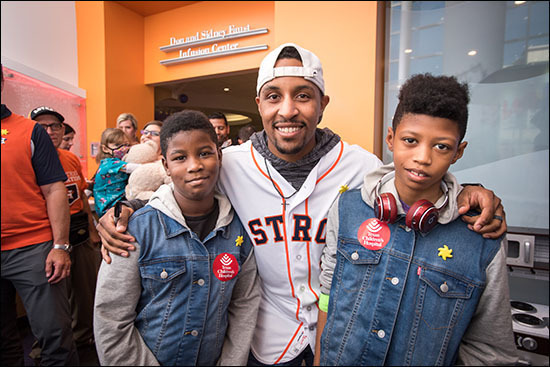 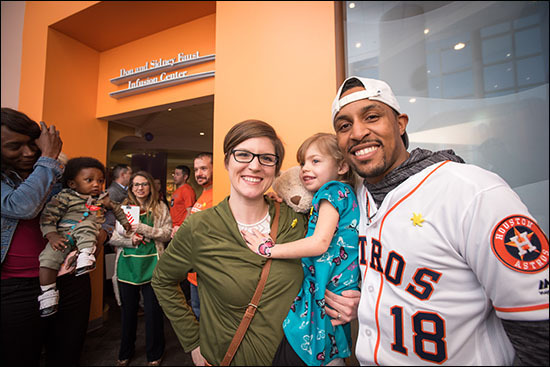 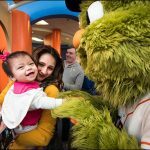 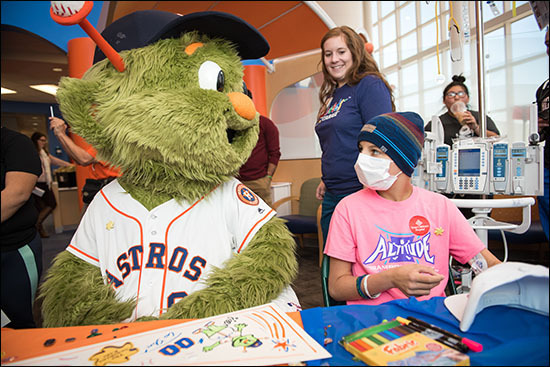 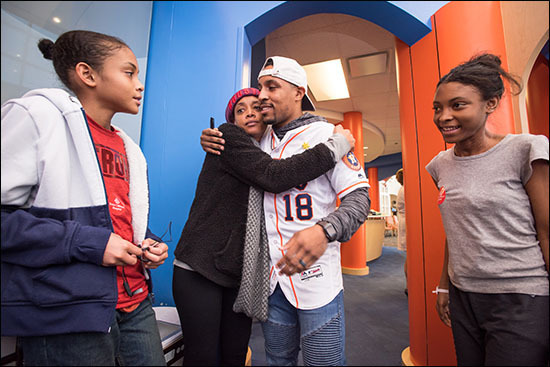 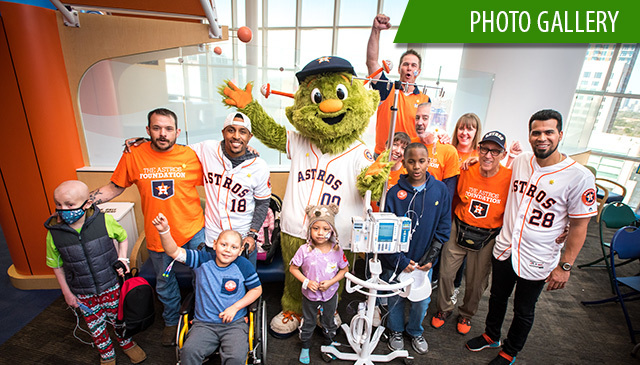 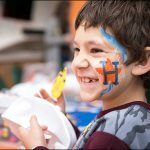 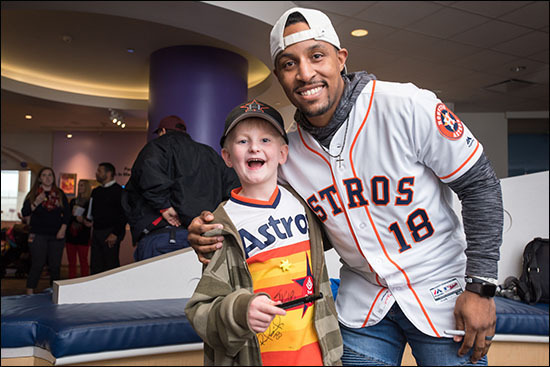 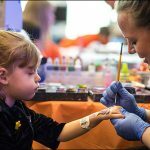 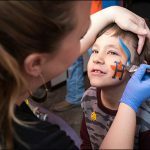 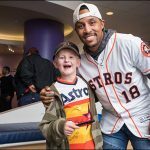 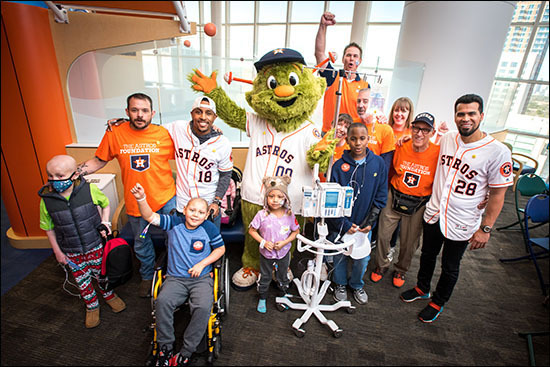 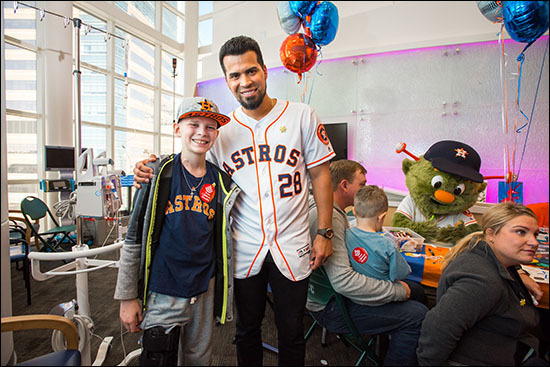 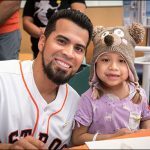 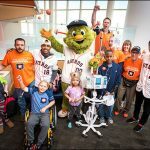 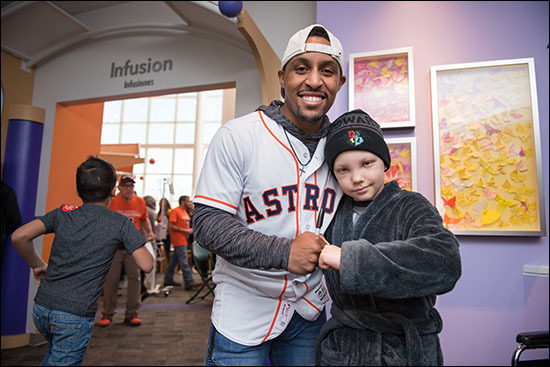 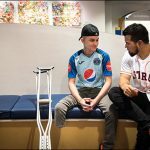 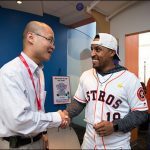 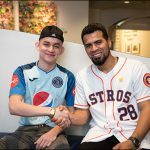 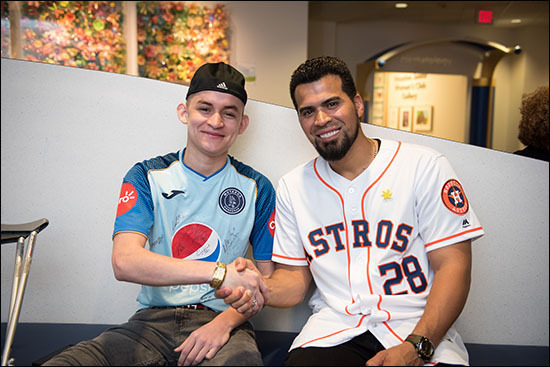 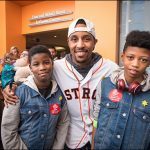 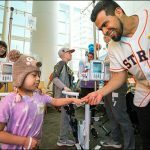 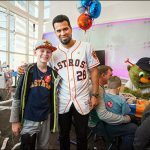 The waiting room and infusion area of Texas Children’s Cancer and Hematology Centers turned into a full-fledged Houston Astros fan fest last week when players Tony Kemp and Robinson Chirinos as well as Orbit, the team’s mascot, came through to brighten the days of many of our patients and their families. 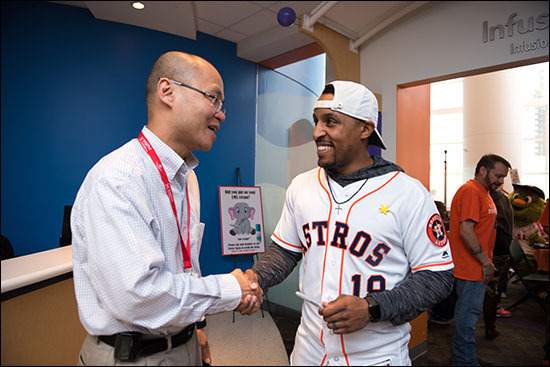 The visit was part of the Houston Astros Caravan, a yearly event that occurs prior to the onset of spring training to pump up fans for the upcoming season. 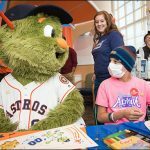 Presented by Academy Sports + Outdoors, this year’s caravan kicked off January 22 and ended January 24 with stops in cities across Texas. 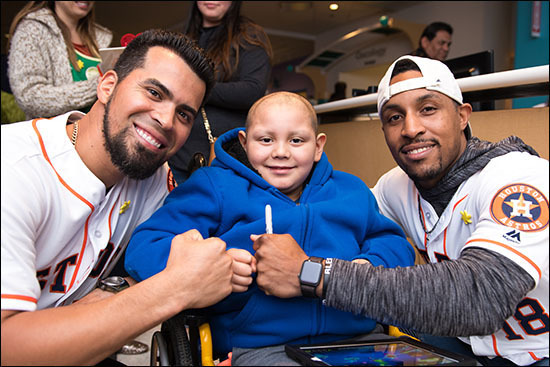 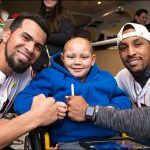 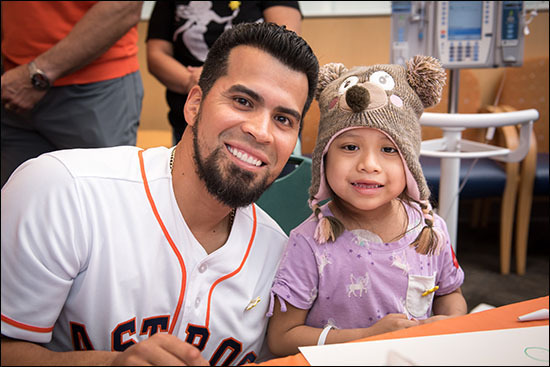 For more than an hour on the 14th floor of Wallace Tower, Chirinos and Kemp hugged, high-fived, visited with and took selfies with patients and families awaiting treatment or appointments in the Cancer Center. 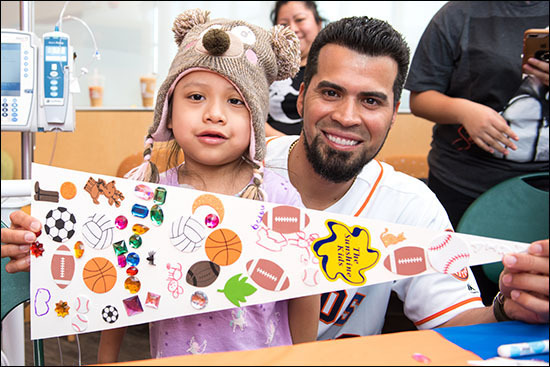 The players also decorated ball caps and pennants with the children and families. 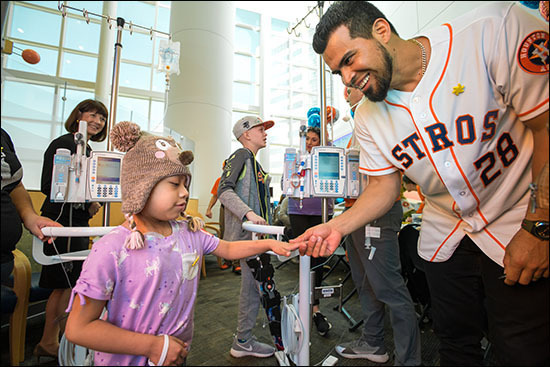 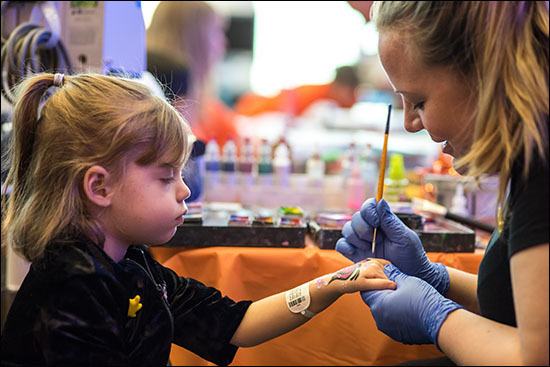 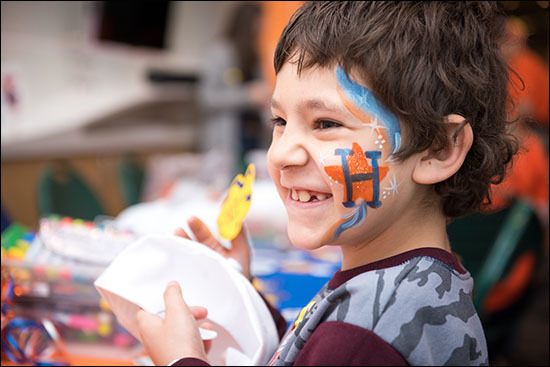 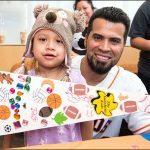 The supplies for the art projects were provided by the Sunshine Kids Foundation, which has a partnership with the Astros to provide regular visits to Houston area children’s hospitals. 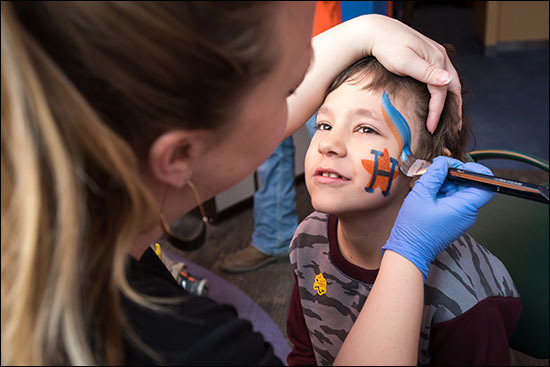 The group’s aim is to provide patients and families with exciting, positive group activities, so they can have fun and celebrate life, even in the hospital. 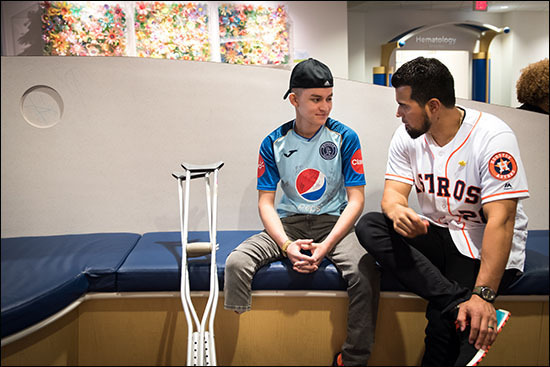 Maria Lujan said the visit from the Astros and Sunshine Kids was a pleasant surprise, especially for her 7-year-old son Sam Lujan, who has been coming to the Cancer Center since May. 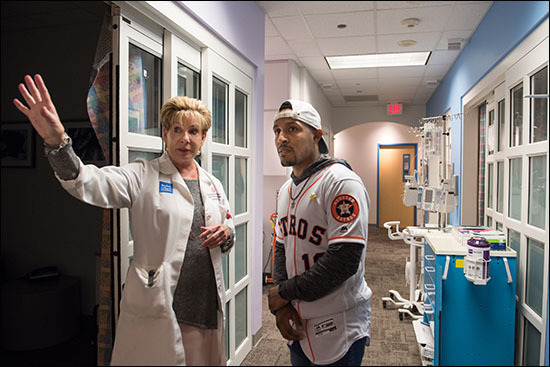 Dr. Susan Blaney, director of Texas Children’s Cancer and Hematology Centers, attended the event and said respites such as these are greatly appreciated. 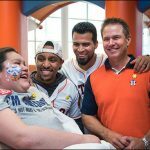 The 2017 World Series champs Houston Astros will start their new season March 28 on the road against the Tampa Bay Rays. 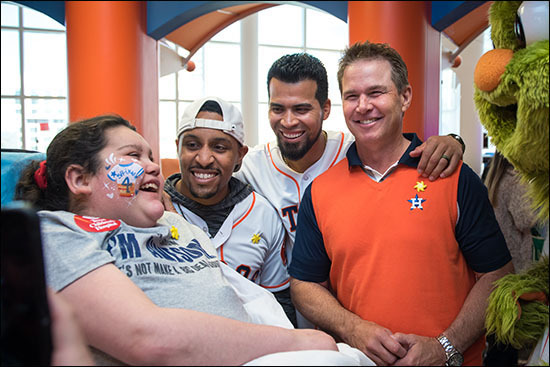 The first home game will be April 5 against their American League West rival Oakland A’s.